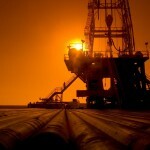 Apache Corporation is an independent corporation dealing in oil and natural gas. With time, they have grown into an established multinational company. Regional offices in Australia, Egypt, Argentina, Canada and the United States help in maintaining operation throughout the world. Truman Anderson, Charles Arnao and Raymond Plank founded the company at Minneapolis, Minnesota, in 1954. Their corporate office is situated in Houston. Real time operations started the following year when wells were drilled between Oklahama City and Tulsa. They even acquired interests in Foshay Tower, in 1960. They even acquired Fresno, California's S&J Ranch in 1970 and expanded their reach into agriculture. Apache Exploration Company came into being in 1971, as oil and gas operating company. There are currently 0 consumer reviews about Apache Corporation available. Share your review. Please take a note that you are about to post a public review about Apache Corporation corporate office on CorporateOffice.com. This review will be public, so please do not post any of your personal information on this website. If you would like to contact the corporate offices of Apache Corporation, please use their contact information such as their phone number, website, and address listed above to contact them. However, sometimes staff from Apache Corporation headquarters do read the reviews on this website.